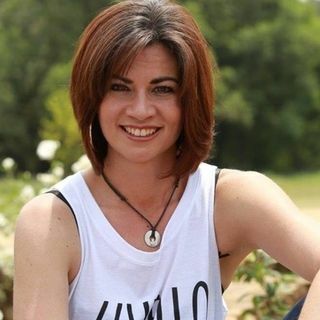 Life and Mindset Coach Anel Bester talks about her roots in South Africa, her fascination with dance and when she began her journey as a life coach. She shares some tough love on this show about following your passion. Anèl Bester provides coaching that develops resilient, innovative and resourceful leaders who achieve real results. Anèl is an experienced entrepreneur and manager who understands the pain, tribulations and exaltations of being ... See More a driven achiever. It is her unique blend as start-up entrepreneur combined with years of study in human behaviour and intense personal development that she brings to her clients to inspire them in achieving greater levels of success, personally and professionally. Anèl aligns her clients with their vision, reconnecting them to their core values and culture of excellence supporting them in action taking and goal attainment. Her Mission is to empower one million spiritual woman entrepreneurs to build empires of impact thereby creating freedom and legacy not only in their own lives, but the lives of their loved ones and clients alike. It’s her dominant intention to stop the dreaded cycle of burnout created in so many high achieving women brought up to succeed through masculine methodologies, by awakening the empowered feminine creative force which is found in the be-ing. Connecting the queen, lover and warrior spirit, she guides her clients to fully embody the Empress archetype already inside every woman alive today.